Well, took a month and a half but I did it. As you know I don’t get on scales or measure myself. I tend to recognize if I have put weight on or off by how I fit into my clothes and of course when a friend says “Wow you have lost weight”. I am closer to a 10 (8 US) than a 12 but fit comfortably in a 12 Australian size (10 US). My son on the other hand does weigh himself regularly and he has lost 8kg (17.637 lbs) in just under one month. That is fantastic for him as he did cheat a little but stuck mostly to the routine. Kudos to Jamin. I did find my cleansing days very challenging but on the other hand worth it as I slept well and woke up the next day with a clear head (no booze on that day of course) and felt energized and of course a lot lighter. As much as I don’t like it, as I love my evening meal, I did look forward to the cleansing day in some ways because of the result and it does get easier the more you do it. Now I will move into the maintenance program as I feel I have lost the weight I wanted to, now will take care not to put it back on. Linear Income: You are basically trading your time for money. You go to a job and give your company 40 hours per week. In exchange for your time, the company pays you an income. The problem with a linear income job is that when you stop working the income stops too! A linear income job not only has an earnings cap, it is also based on you constantly working. Since there are only 24 hours in a day, there’s only so much you can earn as a result of your own efforts. This key concept of leverage is the cornerstone of network and affiliate marketing. GAMP (Global Affiliate Marketing Pros) was created to help its members earn leveraged income two ways. First, as the company’s name reveals, it is an affiliate program where once you become a member you can earn a referral fee for everyone you subscribe, and a referral fee for everyone they subscribe. The second way GAMP helps you earn leveraged income is my giving you the training, leads, sales and marketing tools, and system to recruit people to your network marketing company and to sell their products. So you have a choice, you can either sign up for the 40-40-40 plan (The idea that you work 40 hours per week for 40 years of your life in order to retire on 40% of your pay), or you can hustle for a few years building a business and then enjoy the time freedom gained by your efforts. It’s amazing how some people feel that 2-5 years in business is a long time to get rich, but don’t feel that 40 years at a job is a long time to stay broke. Can you afford to live on 40% of what you were living on while working for 40 hours per week for 40 years? If your answer is ‘NO’ then start earning or increasing your leveraged income today. Tom Brady – Look at the Water he Drinks. 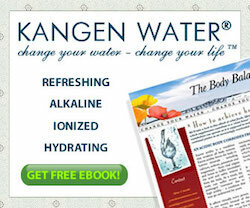 If you want to be the best at what you do, check out Kangen water, get a machine and start drinking it. Quick question: How would you like to earn a high six-figure income from home? We have a six-figure business opportunity that is earning some people a $30 – $50 thousand dollar per month income. We’ve looked for the downside, but we don’t see it. Just watch this video and get back to me to discuss how you can become a part of this awesome business and start earning $2-$3,000 per week very soon. 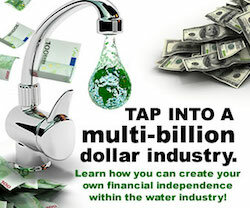 This link is to an 18-minute video, the first part (10-minutes) is a demonstration of what the product does (I found this fascinating when I first saw it), and the second part (8-minutes) explains the patented compensation plan. This POWERFUL, yet SIMPLE 8-point compensation plan is unmatched in the home-based business arena. Learn how YOU can earn thousands of dollars by simply helping others get healthy. 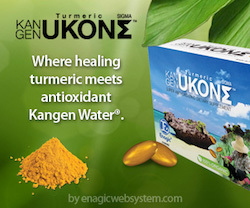 Dr Barry Awe talks on this video of the health benefits of Kangen water.